Who wants to win a $50 Disney Gift Card? 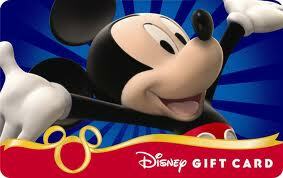 My friends over at Mousekejournals are having a Disney Gift Card contest that starts at 12:01 AM, Friday, November 23, 2012! So, if you have decided not to do any Black Friday shopping at midnight, you can do something more productive and enter to win! The contest runs from November 23, 2012 until 11:59PM, Sunday, December 2, 2012. The winner will be selected on Monday, December 3rd. There are entries for a whole list of great sites, and there are daily entries you can do to earn even more chances to win! Good luck! Click here to head over to the Mousekejournals site and enter!